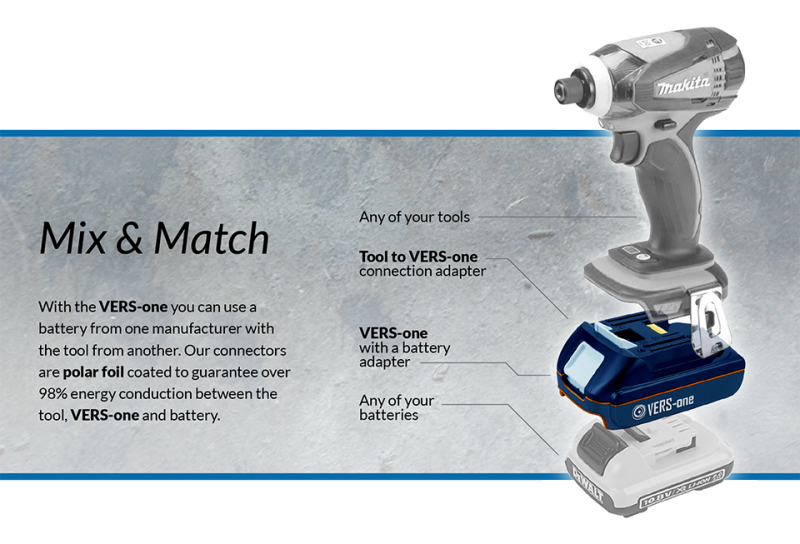 With cordless tools, it is all about getting the most runtime out of your batteries without adding on too much bulk. 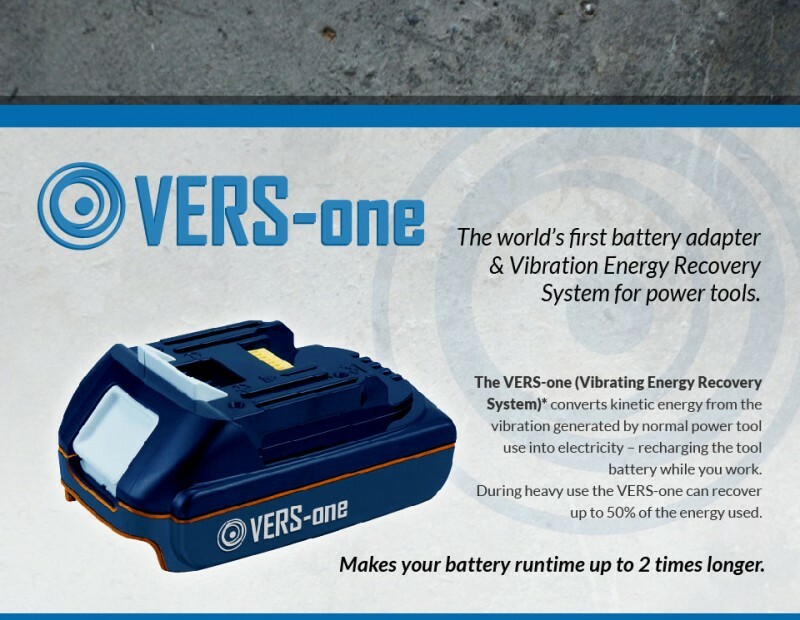 With only slightly less than too much bulk, the VERS-one extends battery life by up to 50% by picking up good vibrations and turning them into 98% pure power. This exciting new technology is possible thanks to the work done by Dr. J.K. Mann and his team at OMG (Ondes Martenot Grottesco), who developed a new polar foil that increases the conduction between the VERS-one and the battery. 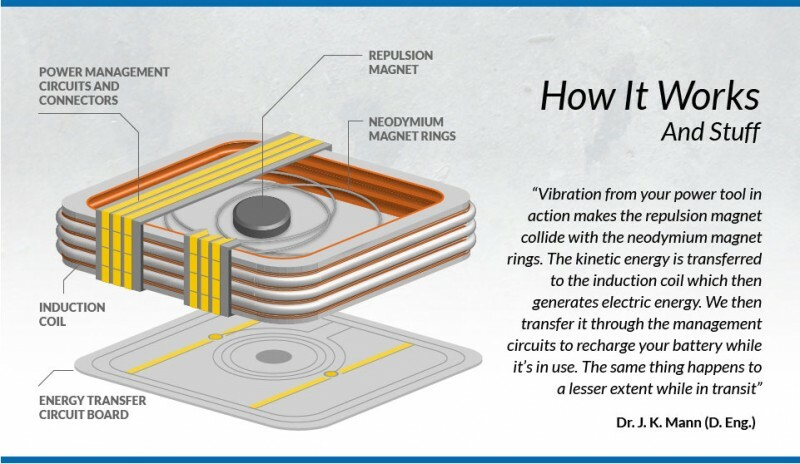 The heart of the VERS-one uses very tiny magnets and an induction coil that turns small vibrations into electrical excitations, thus providing up to 2x the battery life. It almost sounds too good to be true, but the VERS-one adapter is compatible with the major 3 manufacturers, with plans to extend compatibility in the 2nd quarter of 2017 to dominate 7; which is music to my ears. 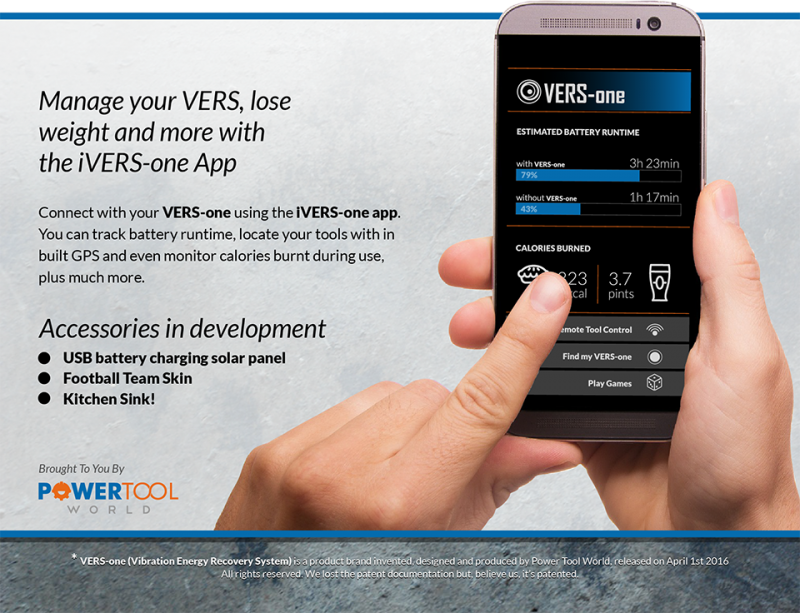 At no extra cost, users can download the iVERS-one app to track battery runtime, locate tools with the built-in GPS, and even track the calories they burn during tool use. OMG has made no announcement on the price of the VERS-one, but it is expected to be launch in quarter 5 of this year. 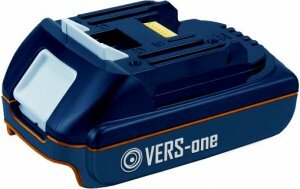 For more information check out PowerToolWorld, who first broke the news on the VERS-one. Update: If you were able to spot all the sarcasm, misinformation, overall absurdity, or musical references to a particular Beach Boys song, you probably realized this was an April Fools joke.